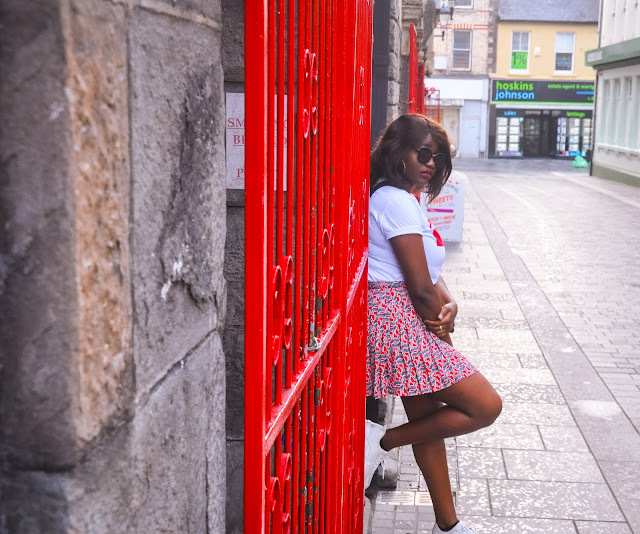 So the blogging mojo is back and this time I'm feeling like less is more. I just realised how extreme I dress at times, either one thing pops or everything I'm wearing pops. But mostly the rule of one thing pops prevails. When creating this I was just thinking of comfort as usual and tried integrating it with elements that draw attention. (I love attention, but shy away once I receive it. lol) The earthly tones keep the whole ensemble cool while the blue gives 'life' to the whole outfit. Stacked heel peep toes are more comfortable if you are always on your feet. The faux fur clutch tops up the 'chic' element to the look, don't forget your favourite pair of sunglasses to finish off everything. As usual, you can always tailor the look to your liking and share it with me. I would love to hear what my readers have to say. Oh and I have created an Instagram page just for the blog, make sure you follow and keep yourself updated. If any of my posts inspire you to try them out, feel free to tag me and I will share it in here. Until next time, have a nice weekend.